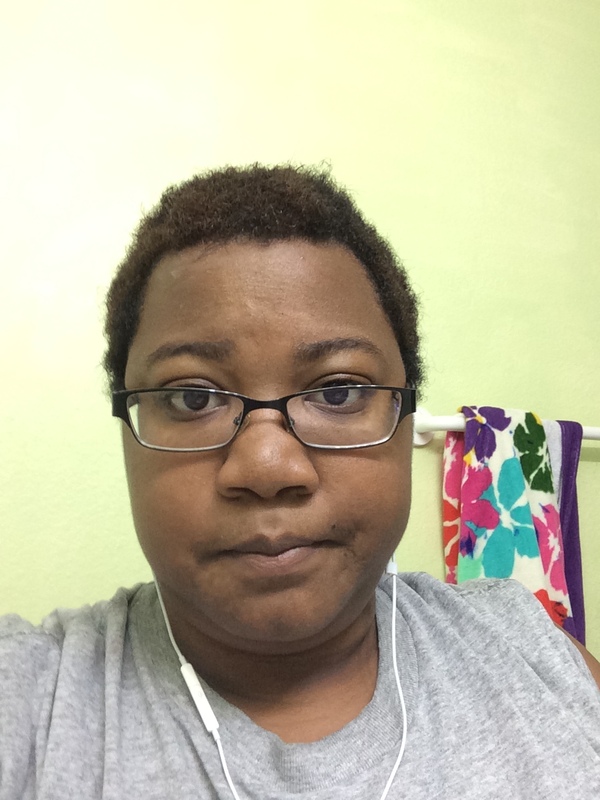 I am going to show a picture I did not want anybody to see when I first big chopped my hair. It’s the first few pictures I took the night I big chopped. 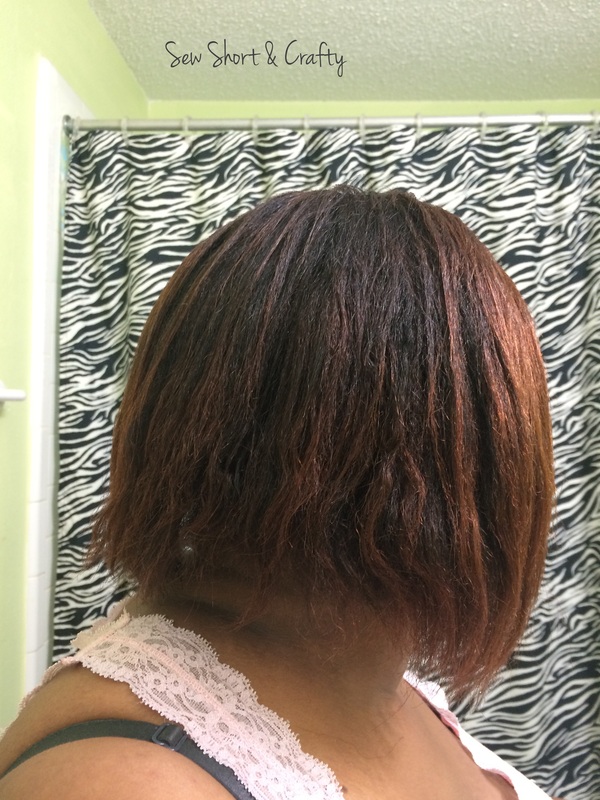 The first picture I shared on this blog was taken 3 weeks later, after I was able to tame it and it grew a little. 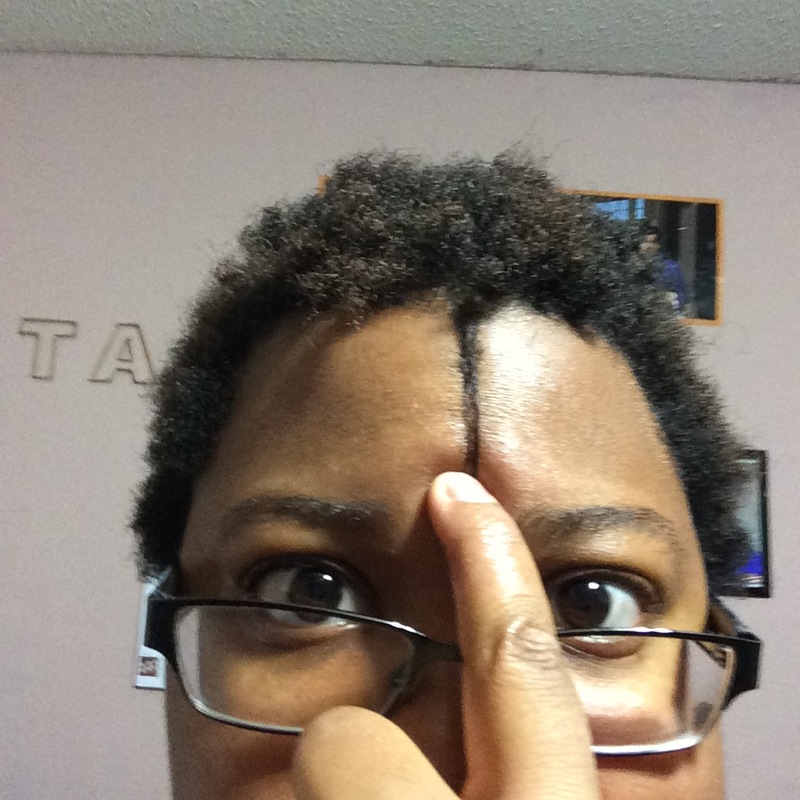 I will also share a recent length check right below it. 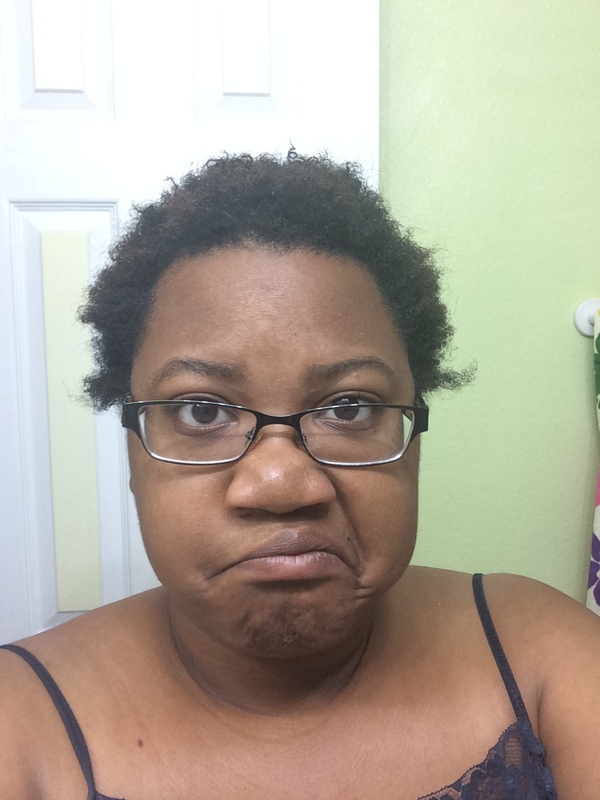 First, though, my wash day. My wash day actually happened last Thursday, and my hair is pretty happy at the moment, so I definitely can leave it for a couple more days. I am learning to “listen” to my hair! It tells me when it needs to be washed — usually when my scalp is itching from gelling my hair. The shampoo I use is surprisingly well-loved by my hair. 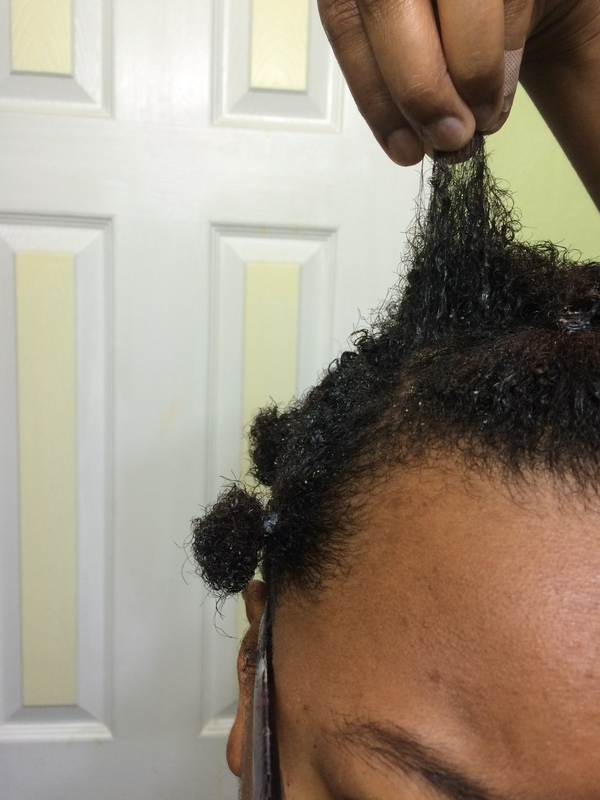 Most naturals say that cowashing is life, but my hair loves my Pantene purifying shampoo. 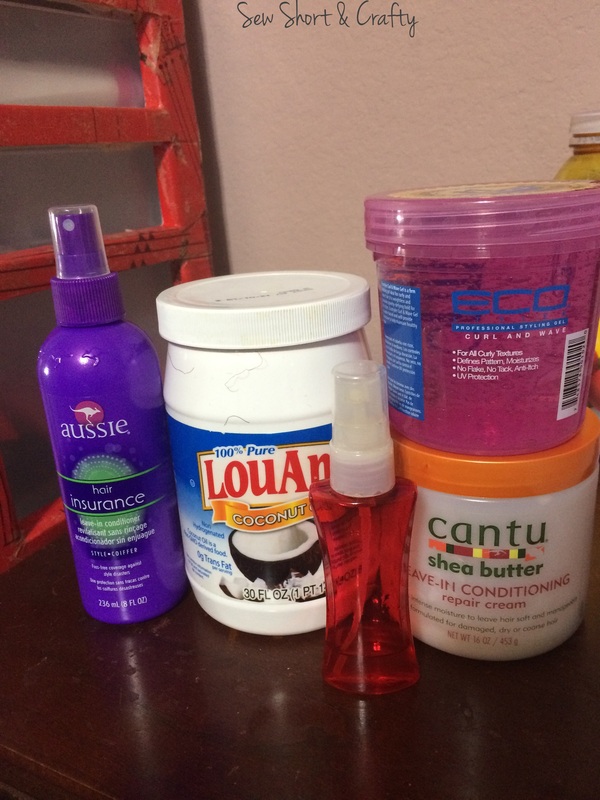 I prepooed overnight with a mix of conditioners under my bathroom sink mixed with grapeseed oil and some cayenne pepper (again, it supposedly helps with growth, so why not?). Without further delay, the pictures from the night I big chopped. Can you tell how unsure I am about what I had just done? 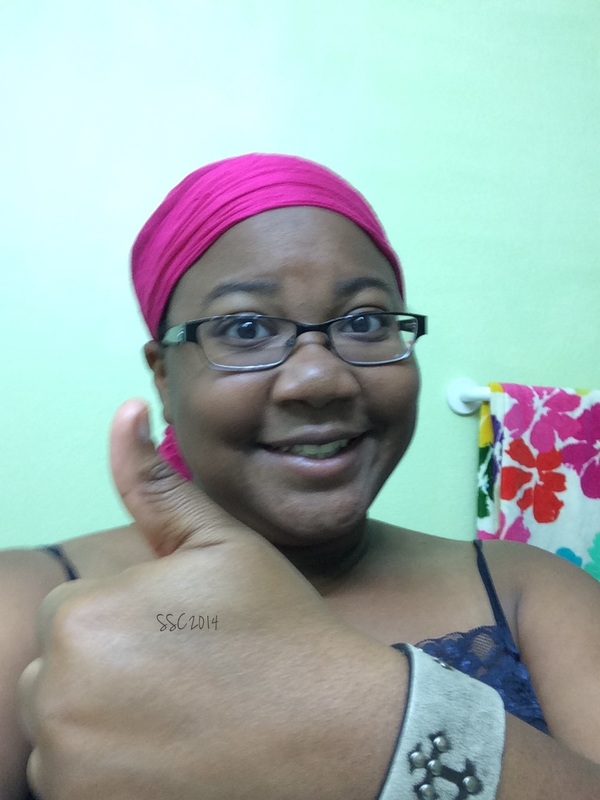 I did this at 2 am on a Tuesday, so…. As always, thank you for reading, and be sure to check out the other ladies involved in the #WashDayExperience linkup! This past wash day consisted of mostly tried and loved products, and a new one. I’ll get straight to my breakdown, and a picture! First, I prepooed with Ogx Argan Oil & Shea Butter Moisture Restore Mask for about 15-20 minutes – I had to clean the kitchen! After rinsing, I shampooed with Pantene Weekly Deep Cleanse Purifying Shampoo. Y’all. This stuff got my hair SO CLEAN. So fresh and so clean clean. Lol. It’s new for me, and I like it so far. It wasn’t horribly drying, actually. It lathers beautifully *sigh*. 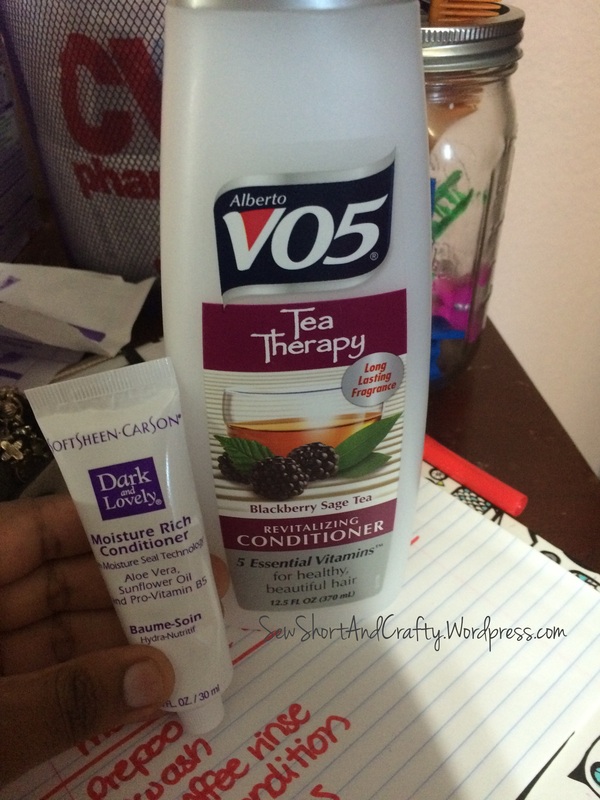 I then cowashed with my FAVE, VO5 Tea Therapy Blackberry Sage Tea Conditioner. My hair loves this stuff, and I love the price, but I don’t love that I can only get this particular one at Kroger! CVS and Walgreens are closer. Boo. I deep conditioned with a Henna N Placenta packet for another 10 minutes, and rinsed, then t-shirt dried for about an hour by accident. I applied Shea Moisture Curl & Style Milk, Cantu Coconut Curl Creme, and Hask Argan Oil Treatment mixed with a little coconut oil, then I hopped into the shower to let the steam work it’s magic. Everything sunk in beautifully, and I covered my hair with my silk scarf and went to bed. 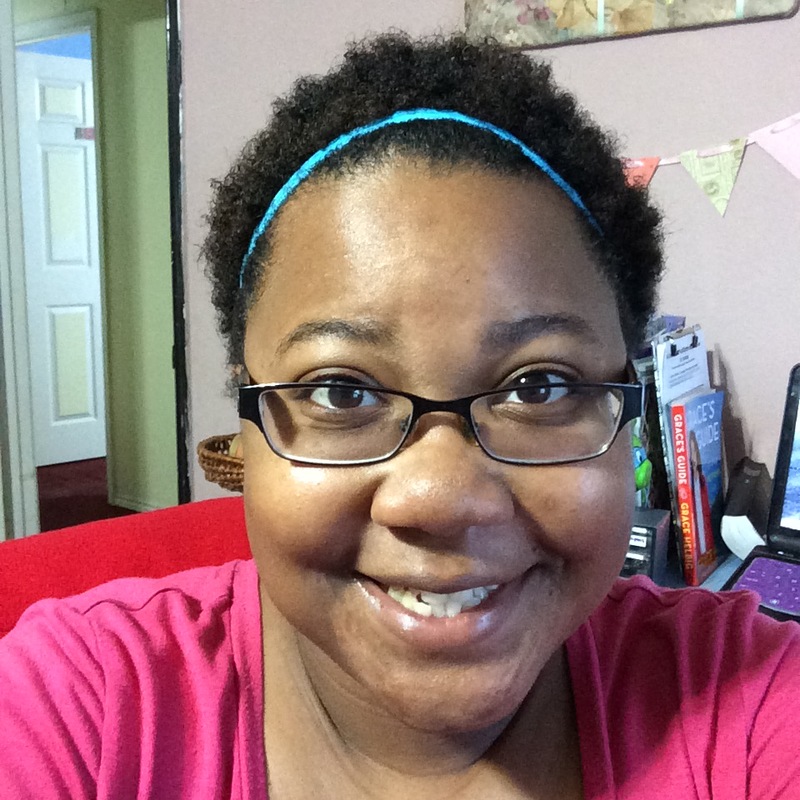 The next day, I used some EcoStyler gel to revive my now-flattened hair, added a bright blue headband, and went off to class! Thanks so much for reading, and have a wonderful rest of your week! There will be a new couponing post for the week up very soon! This week I had some dreadful oily hair to deal with and some breakage, so I know I definitely needed a good shampoo and some protein. I took the evening to really give my hair some attention before school starts up this week. 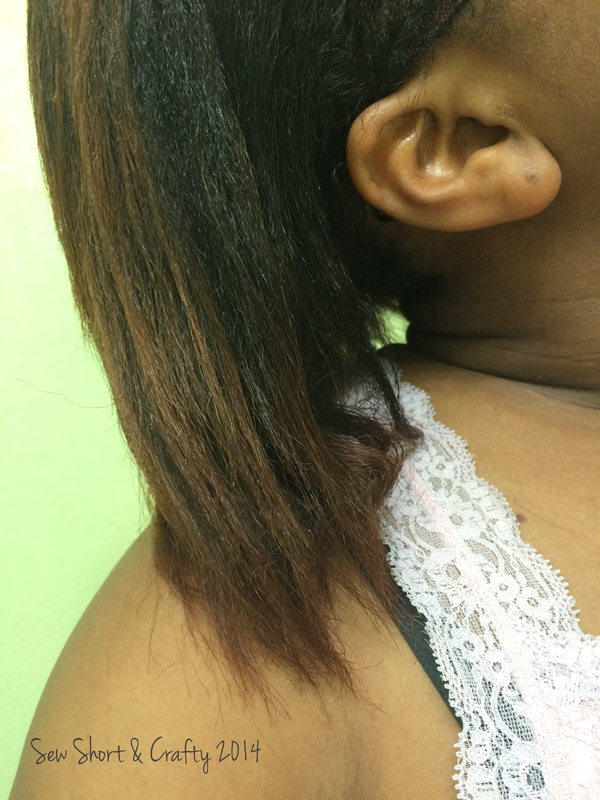 – I applied a Hask Henna N Placenta packet for some protein and deep conditioning. It seemed as if my hair didn’t get much from it upon application, so I decided to take my chances and dump another pack onto my head and rubbed it around a little. I could actually cup the back hair into a teeny pony tail 😉 I left this on for about 20 minutes. – I rinsed my DC out in the shower and then t-shirt dried for 10 or 15 minutes. 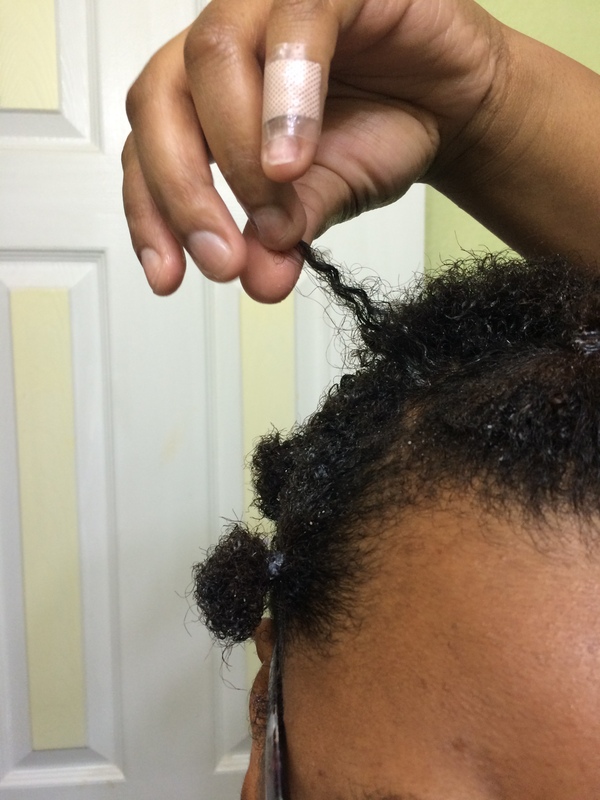 I don’t need long, and I like to have the water still on my hair for LOC-ing. -I sectioned my hair and applied Shea Moisture Curl and Style Milk, Cantu Coconut Curl Creme, and some Hask Argan Oil Treatment mixed with coconut oil to my hair. I used a bit of gel on each little section and set my hair on perm rods for the night. In the morning, I took them out, fluffed my hair with my comb, rubbed a smidge more gel throughout to loosen it up some, and went to class! I only got one picture later in the evening after I got home. 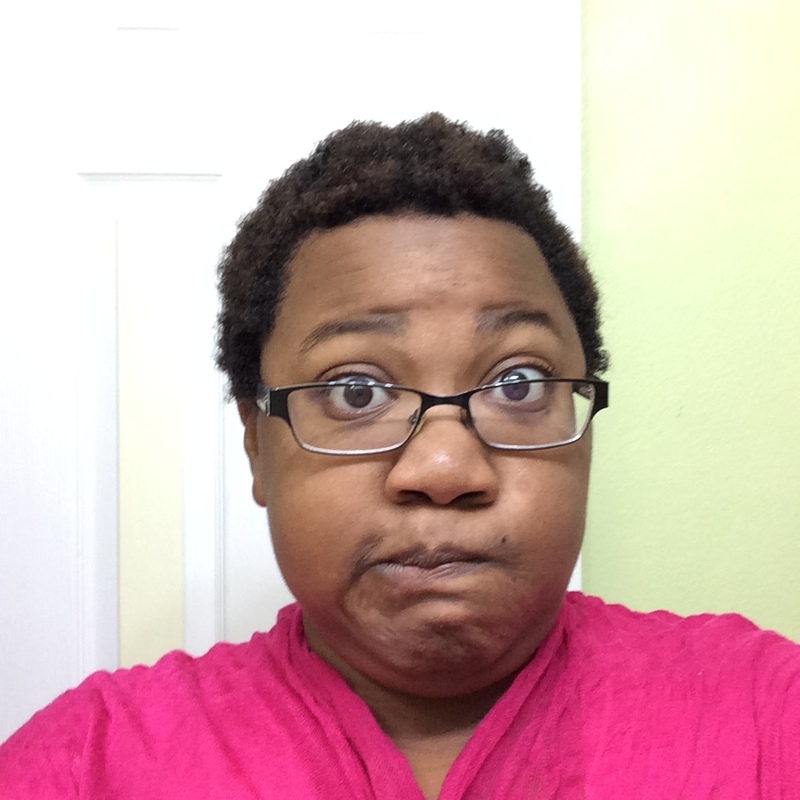 This week, I am 9 weeks post-Big Chop and still LOVING it!! I am getting so many comments from my friends, family, and boyfriend about how fast my hair seems to be growing! My crazy curls are coming in full force, for sure! Here’s my crazy dry hair before I started washing last week! 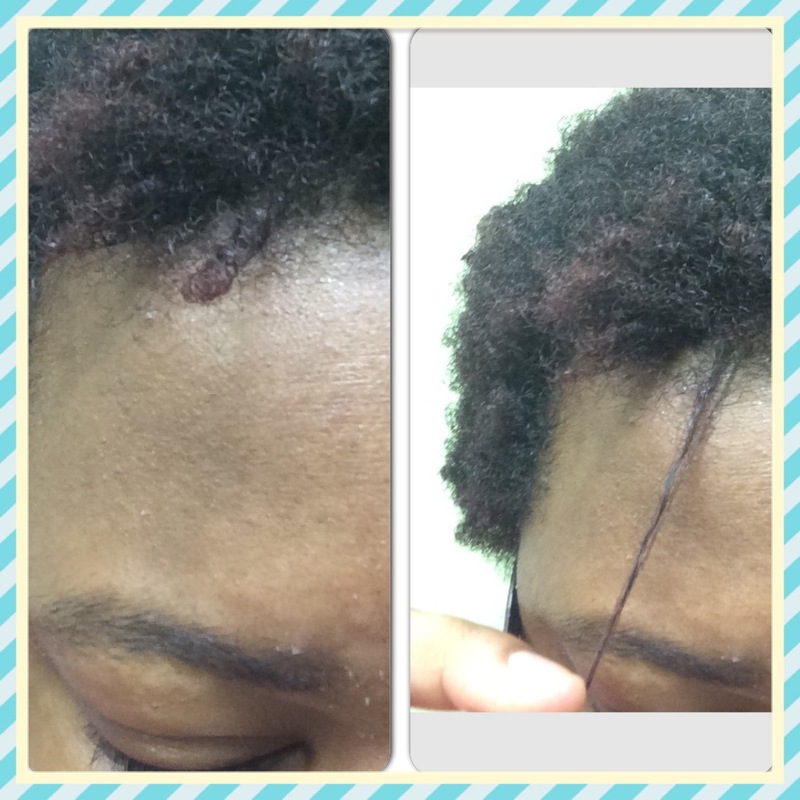 I did a quick length check on the front. Yay growth! I also checked the length of my nape hair. Woo hoo! I also took a couple of pictures to show you guys the curls while I was banding my hair the other night. I have officially dubbed it “the night I accidentally straightened some of my hair overnight”, because that happened in the front! 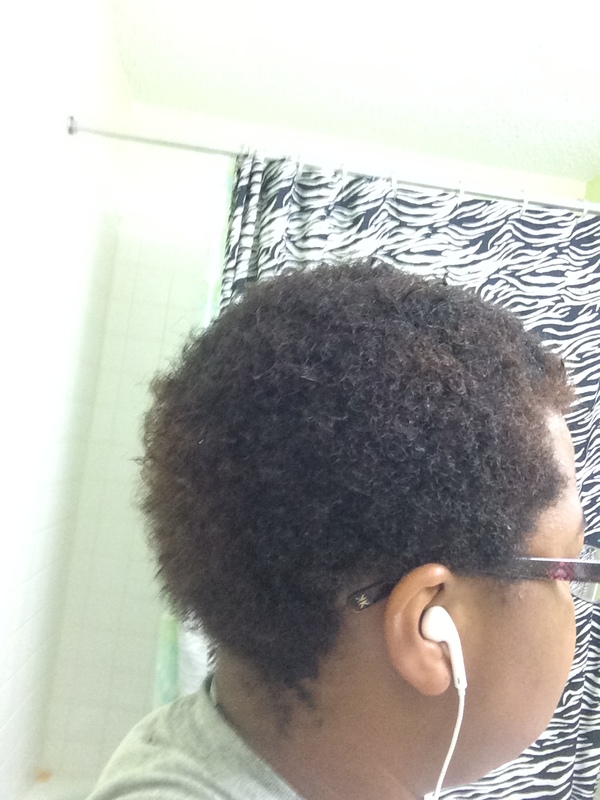 Overall though, banding gave me some nice stretched volume and my curls looks beautifully moisturized the next day. I chose to dye my hair today, and I knew I wanted a reddish tone, so I went with my go-to brand and color, Dark and Lovely Red Hot Rhythm. It processed in my hair for 20 minutes, and then I hopped into the shower to rinse it all out until the water ran clear, and then some. I have never had major bleeding issues with this dye, and I wasn’t starting anytime soon! Next I applied the conditioner that came with the dye, and I seriously squeezed the ENTIRE tube into my hair! After rinsing, I co-washed with my new favorite, VO5 Tea Therapy Blackberry Sage Tea Conditioner. It left my hair feeling absolutely wonderful. I need to pick up more before Kroger stops their awesome sale price (I can’t seem to find this particular one at CVS or Walgreens, and I hate going to Walmart if I dont have to make the drive). Talk about “need to fix that” in the back. That hair tends to shrink up badly and make my back appear less full. It’s definitely not thin city back there at all. However, my ends are no longer fried and dry, and way more manageable. My hair came out so silky and felt SO GOOD against my fingers. I couldn’t stop touching it, but I knew I had to.